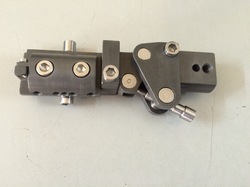 Manufacturer of a wide range of products which include multi axis rail mount clamp, multi axis mono straight clamp, mono z clamp and multiaxis fixator clamp. Under expert guidance of our skilled engineers, we are providing our clients a vast gamut of Multi Axis Clamp. The offered range is used in government hospitals, private clinics, nursing wards and other such places by our valuable clients. Our product is fabricated under strict measures in order to meet globally set standards. Our products are manufactured using premium quality raw material that is sourced from reliable vendors of the market. 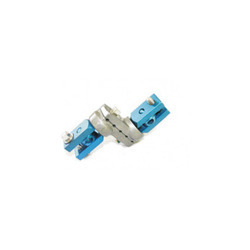 To net propelling demands of the market, we are offering a wide array of Multi Axis Mono Straight Clamp. This clamp fixation is demanded for its longer service life and other such features all over the corners of world. 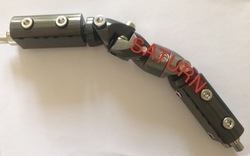 We fabricated this product in variegated options, in order to fulfil ever-evolving requirements of our valuable clients, across markets of the globe. Our product is used for surgery purposes in dental clinic and laboratories. Banking on our years of experience, we are provided our clients a vast assortment of Double Rod Fixation. This clamp is widely used for orthopaedic surgeries in dental clinics spanning all over the world. Our product is designed and developed under strict guidelines in order to fulfil our esteemed client's expectations regarding to its premium quality and superior performance. This offered variety is manufactured using advanced techniques and innovative machines.